HOW CAN I FIND OUT THE INGREDIENTS IN A PRODUCT? You can view the ingredients in any of the EVE LOM products sold in our online store by clicking on the link underneath the product image. ARE ALL THE PRODUCTS YOU SELL HYPOALLERGENIC? All the products in the EVE LOM range are allergy tested. If you know of an ingredient that you are allergic to, please view the ingredients listing for a product before deciding to make a purchase. We recommend patch tests for customers using new products. If you suffer from a skin condition such as eczema or psoriasis, please consult your GP before trying a new product. Eve Lom believes the key to radiant glowing skin starts with the perfect cleanse. To create the perfect cleanse, our formula utilises the best from nature combined with scientifically developed ingredients, including Mineral Oil. The Mineral Oil present in our cleanser is cosmetic grade oil that will not penetrate the skin and is fundamentally removed with water and our specially designed Muslin Cloth. The majority of dermatologists and skincare experts do not believe that any Mineral Oil used in cosmetics will clog pores due to its refined texture and high grade. Therefore 30 years on it still remains the original, iconic and unrivalled formula, the cornerstone of our range and our secret weapon for achieving, flawless radiant skin. CAN I USE EVE LOM PRODUCTS IF I HAVE SENSITIVE SKIN? All EVE LOM products are allergy tested. However, everyone’s skin is unique and it is impossible for us to generalise about how your skin will react to every ingredient. If you know of an ingredient to which you are allergic, please view our products’ ingredients listings before deciding to make a purchase. Because even the most gentle ingredients can cause sensitivity in certain people’s skin, we recommend patch-testing a small amount of product on the inside skin of the wrist first. If you have carried out a patch test, as explained above, and have subsequently experienced an allergic reaction, please contact the EVE LOM customer services team at customerservices@evelom.com or call +44 (0) 20 8740 2076. ARE EVE LOM PRODUCTS SUITABLE FOR USE ON CHILDREN? Children’s skin is generally more sensitive than adults’. Because of this, it is impossible for us to generalise about the use of our products on children. If you would like help on this matter, please contact our customer services team at customerservices@evelom.com or call +44 (0) 20 8740 2076. Alternatively, visit one of our stores to speak to a member of the EVE LOM team. Please see our store locator to find your nearest EVE LOM outlet. CAN I USE EVE LOM PRODUCTS IF I AM PREGNANT? Some of our products contain essential oils which are not suitable for use during pregnancy or while breast-feeding. 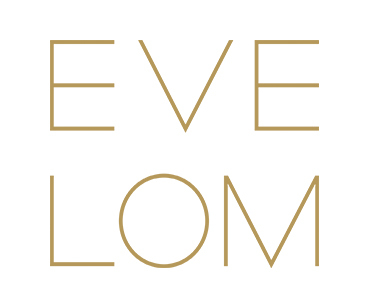 For specific advice, please contact our customer services team at customerservices@evelom.com or on +44 (0) 20 8740 2076. Alternatively, visit one of our stores to speak to a member of the EVE LOM team. Please see our store locator to find your nearest EVE LOM outlet. Eve Lom does not test on animals and never asks others to do so on its behalf. However, if an international authority demands such testing for safety or regulatory assessment, unfortunately, it is obliged to comply. Eve Lom supports the development of alternative testing methods and has initiated the dialogue with industry groups to help build a future in which animal testing is no longer necessary.